The trip to Neuschwanstein castle from Munich took 2 hours one way on in the train, and the whole day to negotiate the travel and explorations. 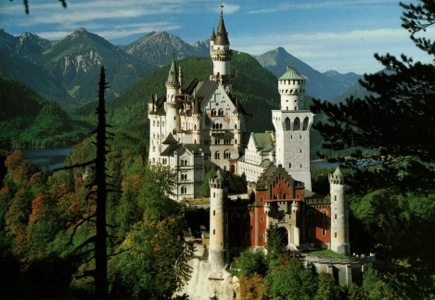 Being the inspiration for the Disneyland castle, it’s something I’ve always wanted to see. Imagine our surprise when we discovered it was covered in scaffolding and wrapped in plastic! Ive attached a photo of what it should look like and what it DID look like. Only the front of the caste was unwrapped for inspection. It was a little disappointing from a photographic perspective but the tour through it and the walk down into the waterfalls and rainforest type gardens below was beautiful. 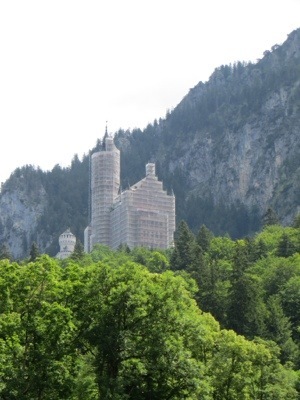 The tour guide was concerned about the climb up to the castle but our hostel in Munich had a broken elevator and we were on the 5th floor (102 stairs) so the climb was no problem to us billy goats. After Munich we arrived back to Austria to Innsbruck, which is a mall village surrounded by enormous snow capped mountains. Sophie had found a special deal on the Hilton hotel so it was pretty exciting and a nice break to stay there and eat a REAL breakfast. We even had TV WITH English speaking channels and movies woohoo! We ate so much breakfast that we didn’t need lunch and had an early tea at 4 pm instead. 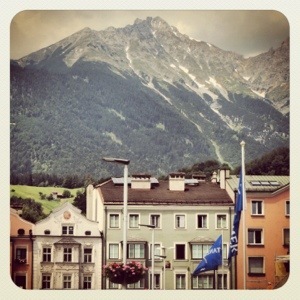 It rained for the whole day we were at Innsbruck but we walked up the mountain to the Alpine zoo regardless. Being a weekday and raining meant we pretty much had the zoo to ourselves and the boundaries between the people and the animals were almost non-existent compared the the Melbourne Zoo so we got some terrific photos. Goodbye to Germany and Austria. 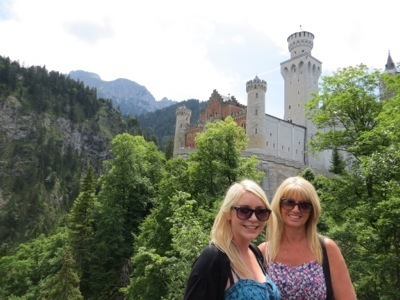 We have conquered 7 countries now in 4 weeks and are about to explore our 8th, starting with Venice in Italy where the temperatures are soaring higher up the 30s and we will stay with my Twitter friend in her B&B.